In less than 5 minutes, see how Guardium Analyzer helps organizations efficiently address privacy-related data risk. This tutorial video demonstrates how to set up the IBM Security Guardium Data Connector. This tutorial video demonstrates how to add additional users to IBM Security Guardium Analyzer. In less than 2 minutes this video explains the importance of discovery & classification for sensitive or regulated data. Data privacy experts examine the long term impact of the GDPR and share best practices to address requirements. Riding the Data Privacy Wave — How Will You Stay Afloat? An overview of how consumer sentiment on privacy is changing, key regulations and trends, and best practice recommendations. Read the data sheet to learn how organizations can benefit from leveraging IBM Security Guardium Analyzer. To help you get started with IBM Security Guardium Analyzer, please refer to these frequently asked questions. 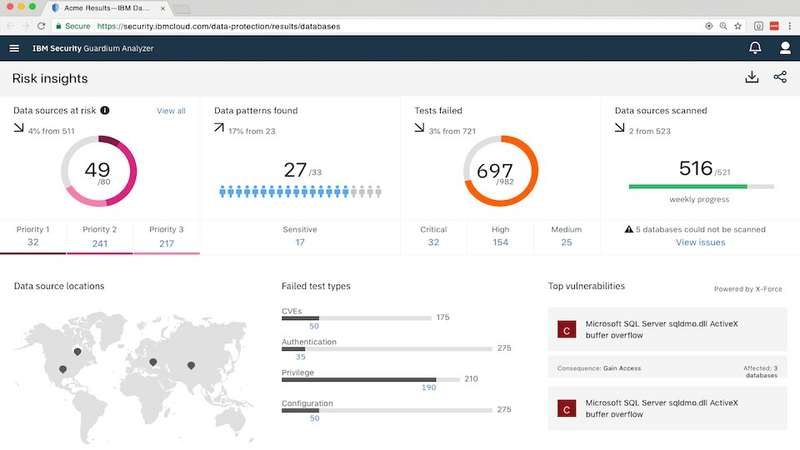 Learn about IBM Security Guardium Analyzer and how it may help teams with GDPR readiness. Guardium Analyzer helps teams immediately start taking steps outlined in the IBM Security GDPR Framework. Learn how GDPR perception has changed since 2016 and steps your organization can take to continue your compliance journey.